The next big thing in tech could be 5G. A leading proponent of this technology is President Trump. 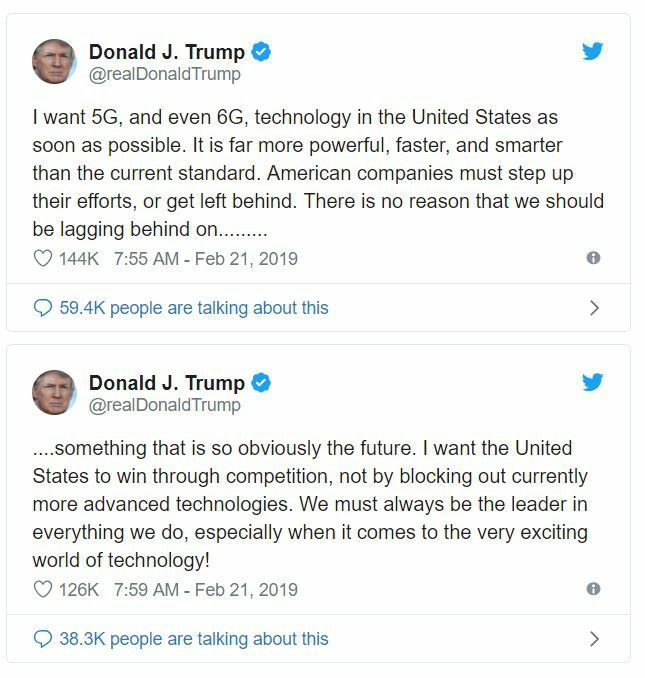 According to TheHill.com, President Trump recently said in a pair of tweets that he wants the U.S. to beat other nations to rolling out next-generation wireless technology, known as 5G. “The G in this 5G means it’s a generation of wireless technology. While most generations have technically been defined by their data transmission speeds, each has also been marked by a break in encoding methods, or “air interfaces,” that make it incompatible with the previous generation. 1G was analog cellular. 2G technologies, such as CDMA, GSM, and TDMA, were the first generation of digital cellular technologies. 3G technologies, such as EVDO, HSPA, and UMTS, brought speeds from 200kbps to a few megabits per second. 4G technologies, such as WiMAX and LTE, were the next incompatible leap forward, and they are now scaling up to hundreds of megabits and even gigabit-level speeds. The actual 5G radio system, known as 5G-NR, isn’t compatible with 4G. But all 5G devices in the US, initially, will need 4G because they’ll lean on it to make initial connections before trading up to 5G where it’s available. That’s technically known as a “non standalone,” or NSA network. Later, our 5G networks will become “standalone,” or SA, not requiring 4G coverage to work. But that’s a few years off. Data center OEM: This one was close. While I felt DellEMC (NYSE: DELL) had a very complete offering, Cisco’s (Nasdaq: CSCO) automation and orchestration offering for setup and configuration of 5G deployments was as compelling as they come. With volumes of small data centers being set up, the smart use of automation in the Cisco offering is going to be significantly decrease the time spent setting up 5G data centers, and this will be very attractive to cloud and telco service providers setting up 5G networks. Infrastructure chips: The massive infrastructure investment needed will create a huge opportunity for the semiconductor industry, and I believe Intel (Nasdaq: INTC) is the company best poised to take advantage of this opportunity. I believe its soon-to-launch Cascade Lake solutions, with its 48 cores, will be ideal to support the exponential data growth and new artificial intelligence, computing and storage demands that will coincide with the onset of 5G. Network transformation provider: When it comes to end-to-end providers for 5G network transformation, there are only really two companies that can claim full end-to-end offerings. The first is Huawei, and the second is Nokia (NYSE: NOK). With Huawei’s woes in markets like the U.S. and Australia, where attempts are being made to ban it from consideration for 5G projects over concerns that the company is leveraging its infrastructure to engage in espionage. I believe it leaves Nokia in a really good position. Even without Huawei’s problems, Nokia’s 5G leadership appears compelling, and it should see a significant boost in the coming year. Modem/IP supplier: Qualcomm (Nasdaq: QCOM) had a terrific showing at Mobile World Congress. The breadth of its announcements was tremendous, and when it comes to building a 5G modem that will power the premium devices of the 5G era, I’m comfortable saying the consensus is that Qualcomm’s modems will be the de facto standard. Edge infrastructure supplier: Hewlett Packard Enterprise (NYSE: HPE) has been building specific hardware to support the boom at the edge for the past few years. (Edge computing is all about processing data closer to where it is being created to improve the speed that data is turned into insights.) While earlier iterations were more designed with manufacturing and rugged industrial environments in mind, the launch of the Edgeline 8000 server at Mobile World Congress gives HPE a noteworthy competitive advantage in the telco service provider space. Device manufacturer: Samsung has certainly had its challenges in the wake of its exploding battery issues in 2017 with the Galaxy Note 7, but when it comes to the first 5G Premium devices, the Galaxy S10 is a stunner. Beautiful design, with next-generation biometric technology and terrific battery life. A clear winner, even if Samsung’s foldable device drew more media attention. Telco service provider: I’ve been an outspoken critic of AT&T’s (NYSE: T) 5G Evolution campaign, which has drawn ire across the industry for potentially misleading consumers into thinking its current enhanced LTE network is 5G. However, that doesn’t mean it doesn’t deserve recognition for a job well done. 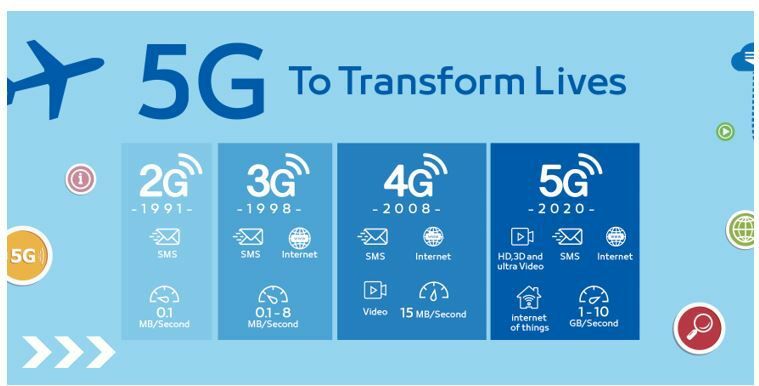 Its commitment to its 5G story is strong, and its early achievements, including rollouts of 5G hotspots and the superior 5G mmWave technology, justify its selection here. Its 2019 rollouts are set to continue. Now I can only hope its real 5G deployments drive it to stop confusing consumers with its 5G Evolution nonsense. These are all large cap companies and that could reduce the risk of the investments in the sector. Buying large cap stocks generally carries lower risk and could even provide income. While the sector could be exciting, the investment opportunities in 5G could be profitable and less volatile than many tech investments. Forex Hedging? An Automatic Cash Machine. Once You Know How.